I love a good storm. It always takes me back to that old front porch back home, when summer thunderstorms seemed to as regularly scheduled as the 5:15 freight train. If I close my eyes, I can go back in time and smell the rain as it turns to steam upon hitting sun-baked Church Street in my tiny hometown of Oglethorpe, Ga. But not every storm brings such a sense of peace and tranquility. Indecisive Tropical Storm Debby is pounding most of Florida with torrential rain, high winds, tornadoes and lightning right now. And our Bicycle Adventure has been in the thick of some intense weather. 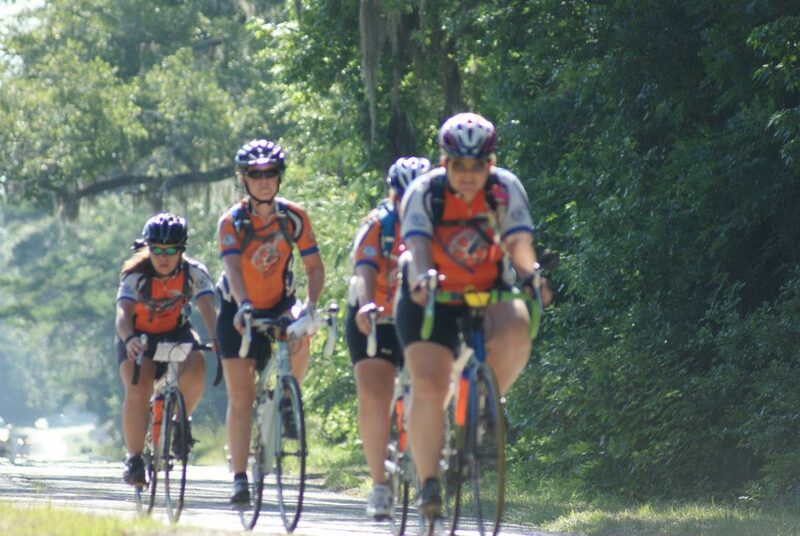 The Sunshine State hasn’t lived up to its name here in the final week of the Adventure’s East Coast ride. It’s not the most pleasant or safest of biking conditions, but you can bet that our Adventurers will make the most of it and have a great time. Yet, it’s a good time to remember what these good-hearted folks are doing out there on the road to Key West (and later from Seattle to San Diego). Not only are they out there pushing their bodies to the limit in whatever conditions may be, but they’re spending their own money to join us on these trips. And they’re working even harder to raise funds individually and as a team. They’ve raised more than $125,000 this year alone for our housing ministry. Oh, and they’ve proven to be fantastic ambassadors for The Fuller Center for Housing as they help spread awareness. Figures that folks who work so hard to raise funds would be passionate about a ministry that provides a hand up instead of a handout for those who are willing to work. Today’s leg has taken the team to Melbourne, Fla., and there are just a few days left before the East Coast ride wraps up in Key West, Fla. And thanks to Debby, it’ll probably be an interesting stretch of days. So, please keep our Adventurers in your thoughts and pray for a safe remainder of the journey. And remember that it’s people like you who help make their hard work pay off. 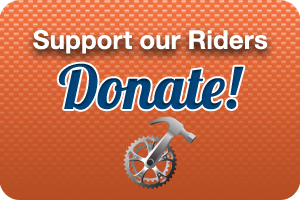 Click the link below to contribute toward the Bicycle Adventure’s $200,000 goal for this year.